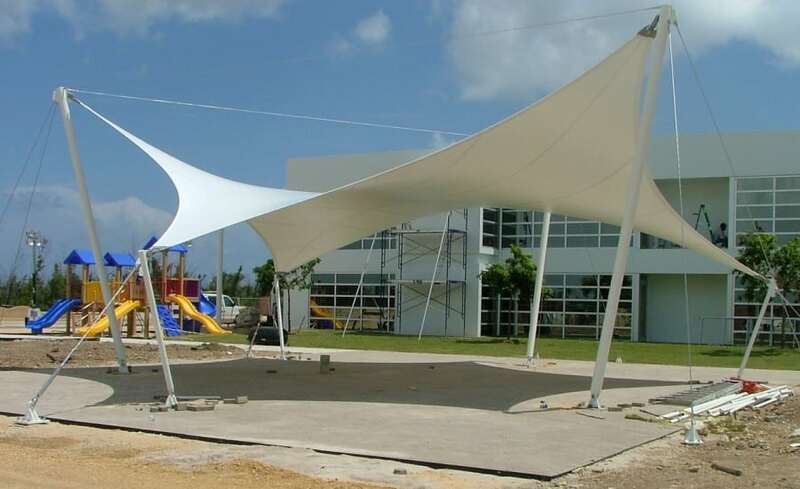 In the tropical climate of the Cayman Islands, the Cayman International School wanted to provide a shade structure within the school grounds. 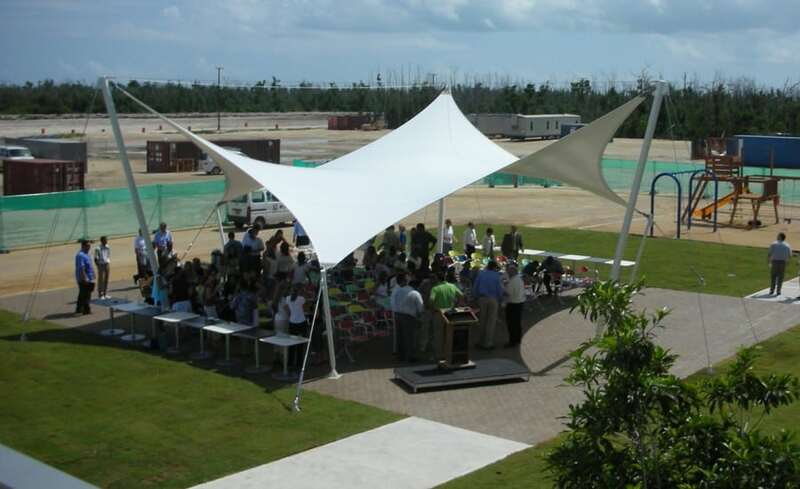 The space, which is now used as a performance area for the students, was wide open: offering endless potential for a unique tensile fabric structure. However, budget constraints meant that there were limits on the type of structure that could be installed! Working closely with designers Spillis Candela, Architen Landrell proposed the installation of one of our Kalahari structures. 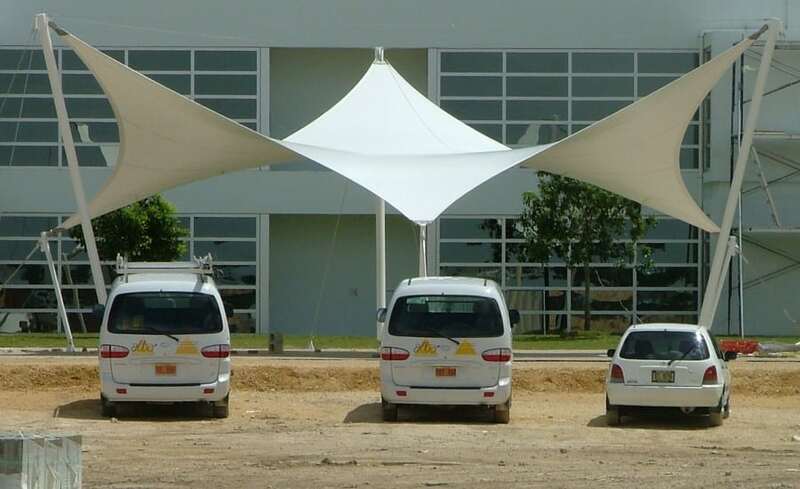 The 15m, 6 pointed sail provides excellent shade properties and fabricated from PVC coated polyester is resilient to the fierce heat which can affect the area. Additionally, it provides an economical solution to the problem. The proposal was well received by the school and the company were thrilled to win the project against local competitors. Our team flew out to the Cayman Islands to install the structure but saw very little of the beautiful weather 3 days of installation was needed before the team flew home, thrilled with their hard work. Since its installation, the school have sent us several pictures of the structure in use, and we are pleased to say that they are as happy with it as we have been.